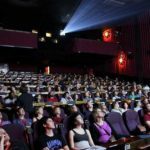 Alamo Drafthouse can accommodate up to 155 guests in its largest auditorium and is available for a variety of event types. Featuring custom food and beverage options and presentations on the big screen. 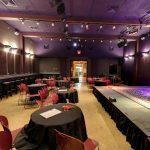 Located in the heart of Old Town Winchester, the Bright Box Theater can accommodate parties of 30-450 guests. Onsite food and beverage catering and state-of-the-art lighting, sound, and presentation equipment. On-site catering, stage with dance floor, and flexible event space can accommodate up to 500. 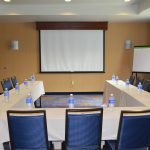 Meeting space seats up to 45 people and includes wireless high-speed internet, projection screen and sound system, and access to outdoor patio. 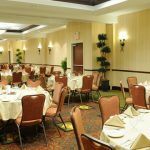 Country Inn and Suites’ professional staff can assist you with planning your event. 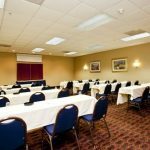 Three event rooms offer flexible meeting space for business and social events with capacity for up to 40. AV equipment, including TV and LCD projector available. 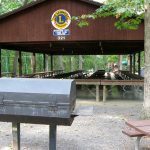 Frederick County Parks and Recreation offers a variety of event spaces, including five community centers and numerous outdoor shelters at area parks. 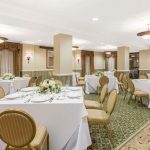 With a total of 6,300 square feet of flexible meeting space, the George Washington Hotel offers everything from a glittering Grand Ballroom to a private boardroom. A/V equipment and onsite catering available. 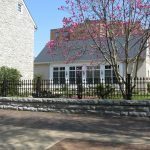 The Woltz Pavilion at Godfrey Miller Home is available to rent for business meetings, weddings, and celebrations. The space accommodates a seated dinner for up to 88. Lecture seating is 125. Featuring over 5,000 sq. 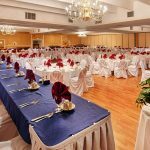 ft. of versatile space including a ballroom with capacity for up to 300. Catering, bar set up, and A/V equipment available. 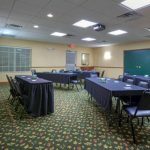 This hotel features over 1,800 square feet of meeting space and can accommodate events with up to 150 guests. A/V equipment and free WiFi are available.